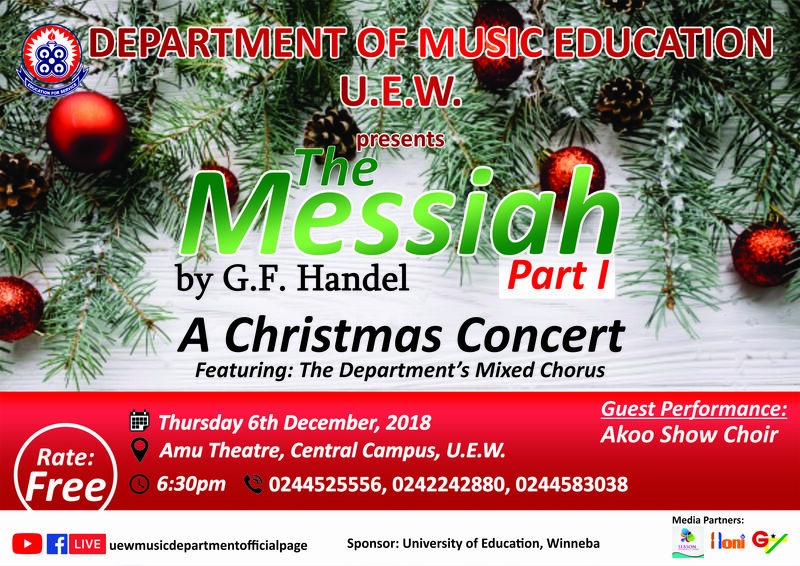 The Department of Music Education is inviting the general public to their Annual Christmas Concert celebration themed "Messiah Part 1" G. F. Handel featuring the Departmental Mixed Chorus. Also performing, is the Akoo show choir. This programme is sponsored by the University of Education, Winneba and supported by Sebson Multimedia, Honi TV and GTV. Submitted 5 months 1 week ago by Music Education.